Should Internet Retailers Collect Sales Tax? Amazon.com began collecting sales taxes on *Amazon shipments to California addresses on Saturday, Sept. 15th. They signed an agreement with the state authorities which also opens the doors for them to build warehouses in California to better serve customers there. It's long been a concern with state tax authorities as well as brick and mortar competitors that no sales tax gets paid by purchases made out of state by internet retailers. In 1992, the U.S. Supreme Court ruled that out of state merchants could not be forced to pay sales tax in states where they did not have offices. Though the court made clear that Congress could remedy this, as of now that has not occurred. States are being denied much needed sales tax revenues by internet merchants who collect no sales tax. In-state retailers are being placed at a severe price disadvantage because online merchants are not charging sales tax. They need a level playing field. 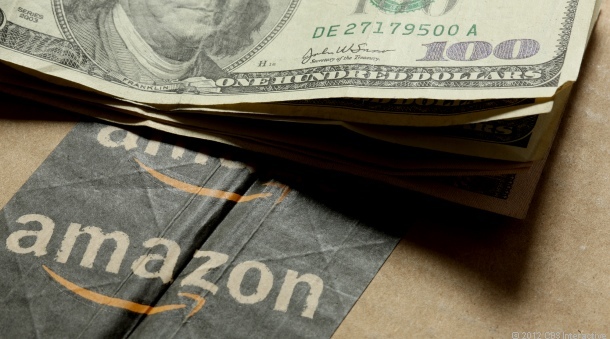 California is not alone in pushing online retailers to collect taxes. 23 states are working towards finding solutions to their loss of sales tax revenues to internet purchases. In addition, there is currently a bi-partisan Marketplace Fairness Act being considered in Congress. It's worth mentioning that this is NOT a request for a new tax. It is a matter of law that the sales taxes are due the states on these purchases. The issue is that internet retailers are not required to collect the taxes. That is what the Marketplace Fairness Act seeks to address. Public disclosure: I am an avid reader and have been an Amazon.com customer for many years (as well as Barnes and Noble, Borders, and independent bookstores). While I have not paid sales tax on my internet purchases, I fully support the notion that internet retailers should be required to collect local and state sales tax for the merchandise that they ship throughout the country. What are your views? Do you think that all retailers should be required to collect and submit sales tax for the states and localities where they are selling or shipping? Or do you think that out of state internet retailers should be entitled to some special dispensation? *Amazon does fulfillment through its warehouses for other retailers. Their agreement with the State of California does not cover shipments they make for others. This entry was posted in Business and tagged Amazon, Amazon.com, business, retailing. Bookmark the permalink.